New data from Travel People, lastminute.com group’s media unit, reveals how major sporting events can spark travel inspiration, with a knock on effect that benefits brands selling everything from footballs to flip flops. Searches for travel deals to London on lastminute.com rose by a fifth (19%) on the first day of last year’s Wimbledon tournament, with the promise of Pimms, strawberries and all things British luring European sports fans to book their next adventure. Even South Korea has benefited from sports tourism, with media interest prior to this year’s Winter Olympics prompting a 116% increase in searches to travel to the beautiful sites of Seoul three days before the games began, compared to a week before. With sports season almost underway, advertisers are encouraged to use Travel People’s sports targeting tools, which allow brands to target and engage nearly 13 million travellers who possess a love for sports and travel on our extended travel network, right across Europe. 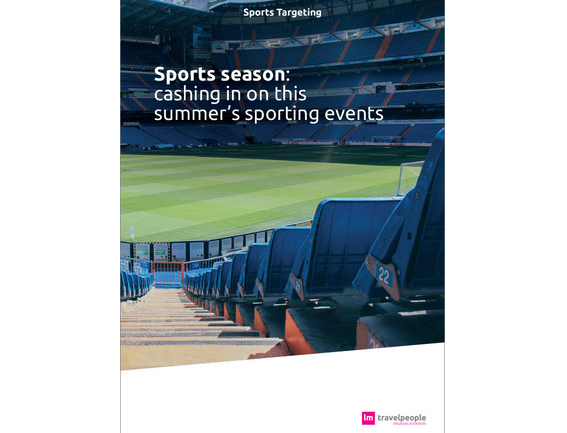 For more information, read The Travel People’s white paper on sports targeting here.